Kyle Thiermann is a Patagonia ambassador hailing from Santa Cruz, California. As an on-camera correspondent for Discovery Digital Networks, Kyle covered important issues ranging from a little-known indigenous conflict in Southern Chile, to the impact wild pigs have on Hawai‘i’s coral reefs. He speaks at universities throughout the country and gave a TEDx talk in his wetsuit. 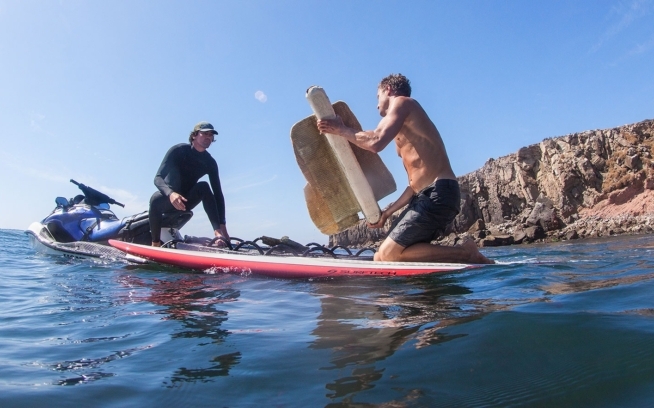 Kyle’s surfing and journalistic successes have earned him Surfrider’s Pro Surfer Environmental Achievement Award, the Brower Youth Award, the American Clean Skies Film Award and the Peter Benchley Blue Vision Award.